Map It! Okinawa: "Traveling to Ie Jima"
Maybe one of the most noticeable islands seen from the Okinawa main island is Ie Jima (伊江島) which sits off the coast of the Motobu Peninsula just north of Sesoko Island. Its hallmark feature is a large rock hill that appears to sit dead center on this good size isle. In the modern era, this little mountain is referred to as Mt. Gusuku. 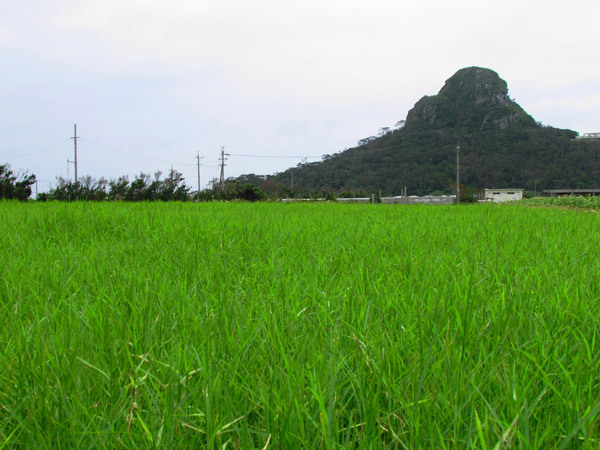 However, to many Okinawans of yesteryear, and even today, she is called Mt. Tachu (タチュ). Ie Jima, like others islands of Okinawa witnessed its moments of wartime dread. 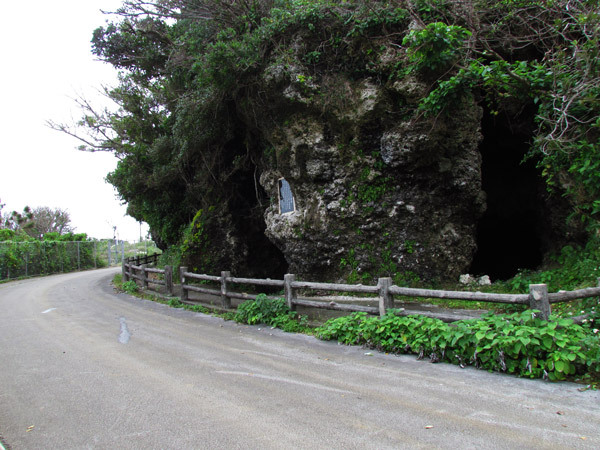 But today, she is one of the more touristy islands one can travel to during your time here on Okinawa Prefecture. You can spend one day or just a few days depending on what you are looking for. This article is dedicated on getting to Ie Jima and some of the amenities that are provided to make your stay enjoyable. Future articles will cover in more detail on specific areas, with the stories and history behind each location. The Google map above identifies most areas that have historical significance. Your adventure begins at Motobo Port. Travel Information to Ie Jima. 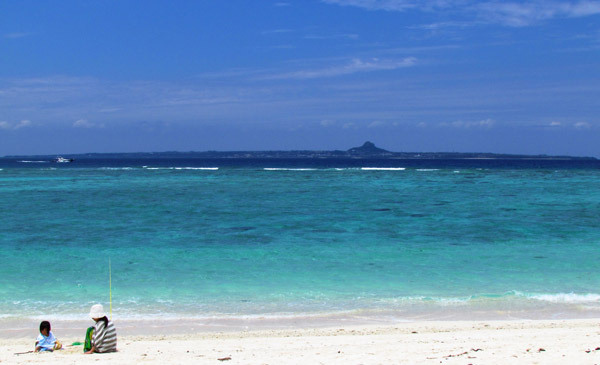 To get to Ie Jima, you have to use a ferry which is about a 30 minute ride from Motobu Port. Ie Jima also has a tiny airport that is not frequently used, however, small commuter planes travel there from time to time. If you fly, there will be more logistical considerations that must be taken into account once you arrive such as your on-island transportation, and all this will have to be coordinated by you the traveler. There are no accommodations at the airport. 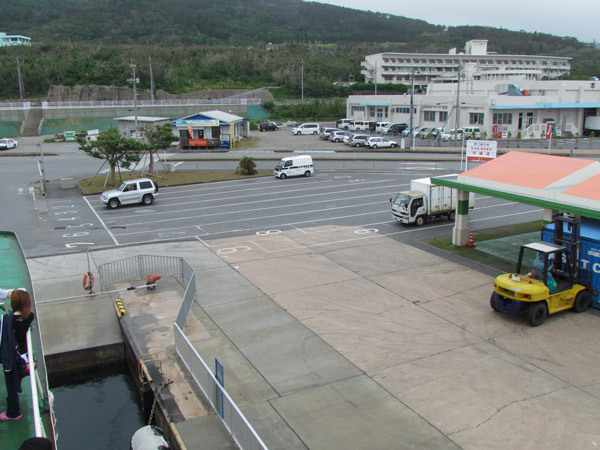 The following information is from leaving Motobu Port only. Motobu Port Directions. To get to Motobu Port take Highway 58 going north towards Nago City and then turn onto Highway 449 going towards the Motobu Peninsula. The port will be just before the Sesoko Bridge. Scroll downward on the map above. There will be a balloon icon designating Motobu Port. GPS coordinates for Motobu Port are N26 38.442, E127 52.803. Motobu Port Phone Number. 098 047 3940 (although not fluent in English, staff members are accustom to English speaking travelers). Website/Ferry Schedule. http://iekanko.jp/modules/pico/index.php?content_id=15 (Japanese only) or click here for Google Translated Version in English. Website/Individual Ticket/Vehicle Prices. http://iekanko.jp/modules/pico/index.php?content_id=15 (Japanese only) or click here for Google Translated Version in English. On-Island Transportation. You have several options when traveling to Ie Island. The most convenient options are to go as yourself, bring a bicycle, or bring some kind of vehicle transportation with you. If you want to see most of the island in one day it is recommended that you have some kind of vehicle transportation with you. They do have bike rentals as well as vehicle rentals at Ie Port (inventory may be limited). Bike Rentals. Generally, 1000 Yen rental fee for the entire day. The bike rental facility is at Ie Port. Mitsuba Rental Bicycle 090 9781-3063. Vehicle Rental. Tama Rental, 098 049 5208. Bringing Your Own Bicycle. You can bring your own bicycle on the ferry, but an added fee will be added when you pay for your ticket at Motobu Port. See website above for prices. Personal Recommendations. If you just want to get to the Island and immediately explore, then bringing your own personal transportation is recommended but you will need to make vehicle reservations in advance to ensure that there is space available. How to Make Reservations. Reservations in advance are required in order to bring your vehicle to and back from Ie Island. Make reservations at the Motobu Port Office, phone number (098) 047 3940. See website above for fee information. You will have to provide your name, make of vehicle and vehicle length in meters to the Motobu Port Office. Generally, the larger the car the more you have to pay. English Friendly. If you are concerned about the English/Japanese language barrier, you will find that Ie Jima is one of your more English friendly tourist areas to travel to. Travel Tip: At Motobu Port they have tourist handouts in English as well as in other languages. The travel staff are accustom to English speaking people. You can pick up more English pamphlets at Ie Port, at the Information Office. Convenience Stores. Ie Jima has two main convenience stores (Family Mart and Cocos) that are designated by the Green Balloon Icons in the map. They are in the vicinity of the main town area next to the port. You will also see many 'Obaa-san' stores on the island. Gas Stations. There are a few gas stations in the vicinity of the main town area near Ie Port. Travel Tip: recommend you fill up gas prior to departing to Ie Island. Cash/ATM/Credit. The main medium for payment is done in Yen. Few areas may accept credit card. The Japanese Post Office does offer an ATM service that uses the Plus System which is compatible with some American Banking/Credit Union institutions. ATM hours are based on Post Office hours. Travel Tip: Bring plenty of YEN! The post office is located near the Coco Convenience Store (marked by the Green Balloon Icon). Places for Overnight Stay. There are a variety of minshuku's (private host homes/lodging) that you can stay at overnight. The English Tourism Handout at the Motobu Port will have a list of minshuku's available. YYY Club Resort (English Friendly). If you looking for great hotel accommodations then you may want to look into the YYY Club Resort. Website in English at http://www.ie-resort.com/english/ . Location: southeast of Ie Island. Street Signs in English will be available directing you to the YYY. Overnight Camping. You can also camp at the Ie Village Youth Excursion Village (Generally, 300 Yen and 200 Yen per adult and child, respectively, per night for camping). On the same premises you will see public showers near the public cooking and beach area. Location of the Youth Excursion Village: Southeast of Ie Island (marked by a Pink Balloon Icon). Shower Facilities. If you just want to use the shower then you have to enter the Ie Village Youth Excursion Village (Entrance fee only is 100 Yen Adult, 50 Yen Child/The staff may wave you on through if you let them know you just want to use the shower). The shower facility will be near the public cooking area and convenience stores. The cost to use the shower per person is 200 Yen. You have to pay the staff at the convenience store (closest to the shower room). Shower Hours are 0900-1800. US Military Compound. There is a US Marine Compound on Ie Jima if Service Members require emergency assistance. What to Bring. What you bring is dependent on the type of transportation you bring with you and how long you plan on staying on Ie Island. At a minimum, you may consider bringing proper attire for shade and sun protection, a neck towel, mosquito repellent, water and snacks for nourishment, hiking gloves for protection. You will definitely want to bring a camera. Places to See. 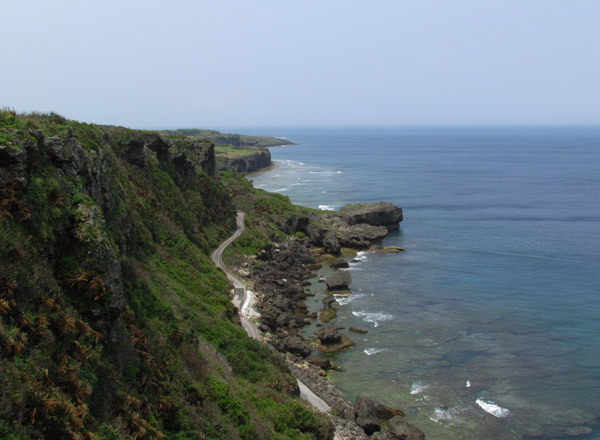 The following links are major highlights of Ie Jima to see. (All places are marked in the above map). Please click links above for other places to visit. Mt Tachu (Mt. 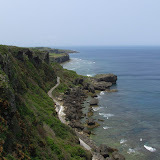 Gusuku) (photo), Niyathiya Cave (Senin Gama), Wajee View Point (photo), Ahasha Cave (photo). Related Articles. Yuri Matsuri, Lily Festival (ゆり まつり) - Late April to 1st Week in May, Niyathiya Cave (Senin Gama), Statue of Hando (Mike's Ryukyu Gallery). Ready to travel there, again, anytime, Dude !